Home » Posts tagged "Ohio represent"
This is a fabulously entertaining mini-documentary about Akron-native Chris Butler who has played with local legends 15 60 75 (The Numbers Band), Tin Huey (which was also the springboard for Mr. Ralph Carney), and was, of course, the creator of and guitarist for the Waitresses. 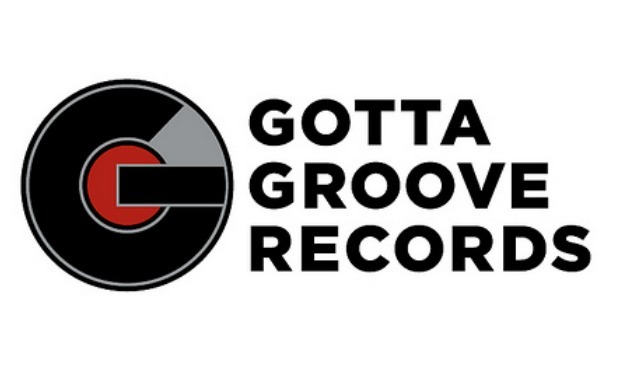 Gotta Groove Records – “Groove With Us” from Nick Cavalier on Vimeo. One of the biggest perks of this music blogger gig is getting to be friends with some really talented people. 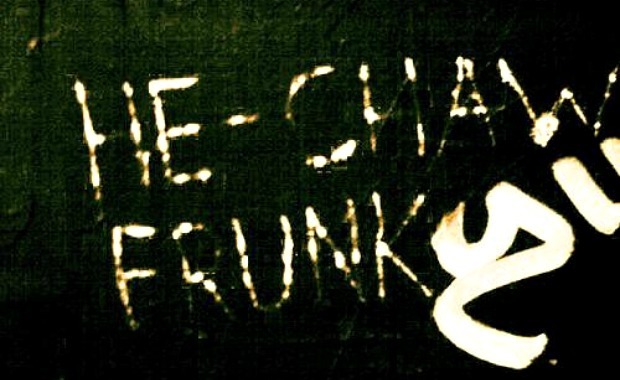 Case in point, they of the band name that people are never sure they’ve heard correctly, He-Chaw Frunk. Not only are they as local to me as you can get, but they have a dark musical sensibility that moves me. Here they are playing one of their original songs, “Time”, at Brothers Lounge. How about the vocal chords on Chris Bishop? And that beautiful guitar-playing from Sasha Kostadinov? And the slinky groove held down by Matt Rusincovitch and Mark Slater? Check out more of their songs and live videos at the He-Chaw Frunk website, and if you’re in the Cleveland area, be sure to catch them live. You’re sitting in a dive bar, looking up into the neon beer signs. It’s one of those joints half full of the lonely and the tired and a few troublemakers. You overhear someone talking from a few bar stools down, a woman telling a stranger her story. While you don’t normally eavesdrop, she keeps saying things that sound like they could have come from your own mouth. Things to do with too many empty bottles littering the floor, things to do with a certain moral ambivalence and an ease with that ambivalence, things to do with isolation and fear. All these things delivered in a voice of world-weary defiance. You turn to look down the bar and see the speaker of your truths. There you find a small, pale girl who can’t be more than 23. What the hell? 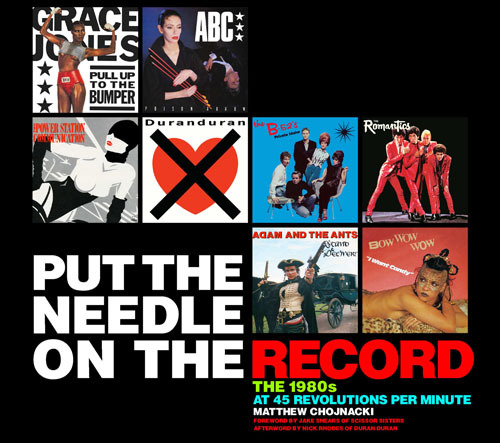 Many remember the 1980s as a time when style was deemed more important than substance (and all the unfavorable connotations that could imply), but Put the Needle on the Record: The 1980s at 45 Revolutions per Minute, a new book by Cleveland, Ohio, writer and music/pop culture historian Matthew Chojnacki, shows how the style of the ’80s was often carefully orchestrated to reflect the substance as the bold art on the sleeves of 7″ records was put to work selling a single song among hundreds of other songs on record store shelves. 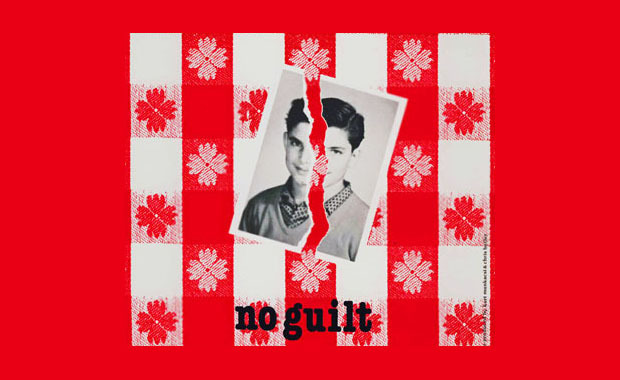 Inspired by his own enormous collection of 7″ and 12″ records, Chojnacki has compiled over 250 7″ covers from the ’80s and included stories, insights and interesting comparison of the ephemeral trappings that did more than just protect the vinyl discs inside. 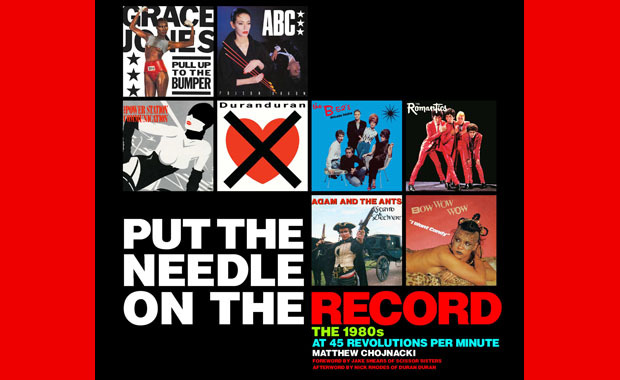 With an afterword by ’80s style icon Nick Rhodes (Duran Duran), Put the Needle on the Record spotlights covers of everyone from Luther Vandross to Def Leppard to the Smiths in a stylish hardcover format and includes information gleaned from interviews with some 125 musicians and cover artists. 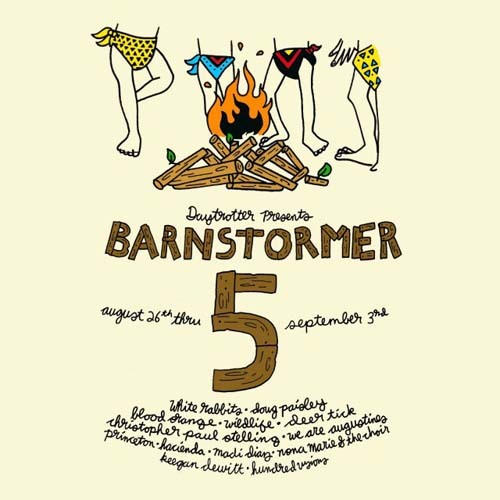 Barnstormer 5 is coming to Akron! There are still music-loving, internet-connected people in the world who don’t know about Daytrotter. That’s amazing to me. Since 2006, Sean Moeller and crew have been recording sessions by touring bands and throwing the results of those sessions up on the internet for anyone and everyone to download and enjoy for free, and since I learned about the site a few years ago, I have felt it a wonderful example of what the internet can be used for. 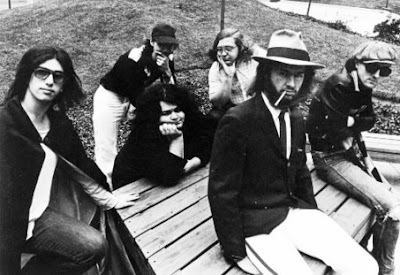 The Horseshack – the studio in Rock Island, Illinois, that sees most of the recording activity you find at Daytrotter – has welcomed everyone from the Preservation Hall Jazz Band to Dinosaur Jr. to Kris Kristofferson to Andrew W.K. to Charlie Louvin to that new indie band you keep hearing people talk about. NTSIB favorites A.A. Bondy, the Felice Brothers and Local Natives all have sessions up, and the amazing Mr. Patrick Sweany has a session forthcoming. 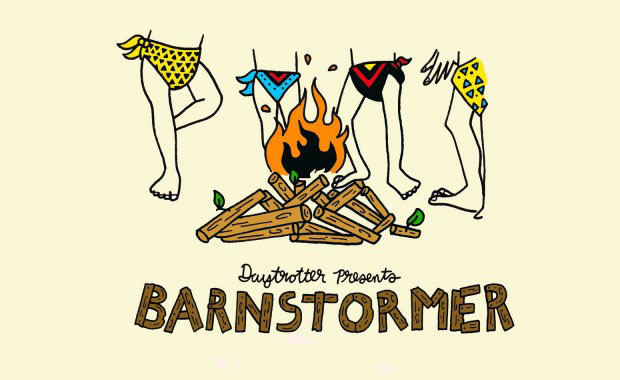 And those good Daytrotter people post at least one of these free sessions every day, sometimes posting two sessions in one day. As I was listening to the Ridges’ EP last night, a storm kicked up that colored the sky charcoal grey and blew leaves horizontally through the air. 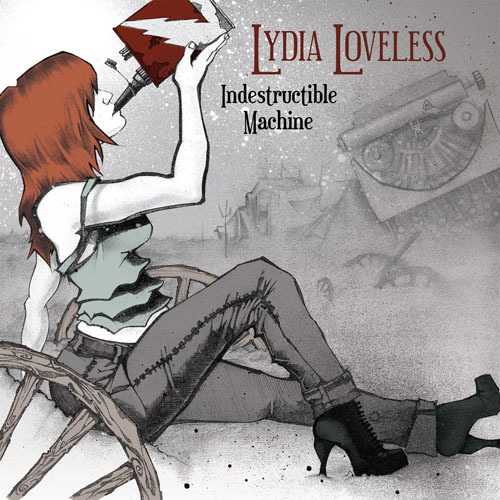 It seemed appropriate to the roll and swell of moody strings and beautiful but fraught vocals of the album. 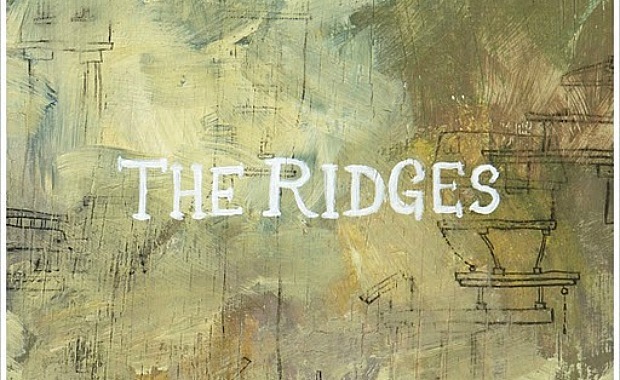 Formed in Athens, Ohio, and consisting of core musicians Victor Rasgaitis (guitar), Talor Smith (cello) and Johnny Barton (percussion, glockenspiel) – with a rotating line-up of additional musicians contributing violin, viola, upright bass, trumpet, percussion, mandolin, cello and accordion – the Ridges took their name from the institution that was formerly the Athens Lunatic Asylum. 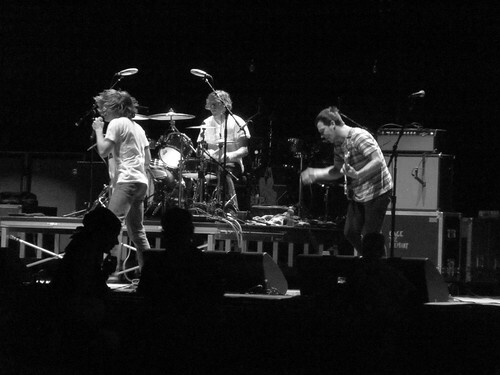 And the band continues to draw inspiration from the old asylum. 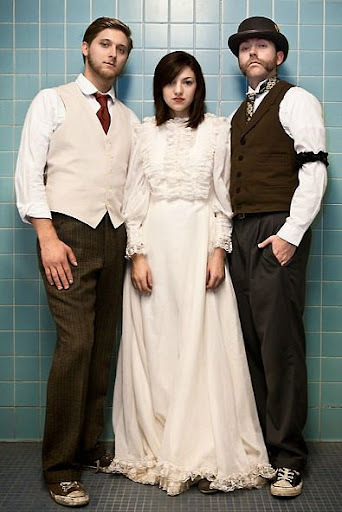 Not only was their album recorded in the ornate Victorian building, but the songs are imbued with an aching hauntedness that seems to reflect the ghost stories that surround any once-abandoned institution worth its salt. Die, Sloopy, Die is a tribute to great Ohio bands of the past and present. The name is an anti-tribute to our official state rock song “Hang On, Sloopy” by the McCoys because, while it is awesome that we were the first state to declare an official state rock song (and, so far, we are one of only two states to do so, Oklahoma having declared the Flaming Lips’ “Do You Realize? ?” their official state song), we chose one of the lamest songs it was possible for us to choose. Jennifer bids adieu to summer by spending some time with former Ohio boy Scott Weiland and crew.